With more than 30 years of Cannabis cultivation experience, K.C. Brains Seeds produces the highest quality Feminised and Regular seeds. With various Cannabis Cups & Awards under our belt and world famous varieties K.C. Brains has been an undeniable player in the development of Cannabis genetics in the Netherlands and beyond. K.C. has been traveling around the world since 1979, making friends, exchanging seeds and knowledge and combined the experience of those new friends with those of his old Hippie-friends from the 60’s in Holland. With great strains like Northern Light Special®, K.C. 36® and Mango® K.C. Brains seed bank offers exceptional value for sharp priced seeds. 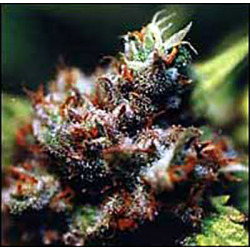 Various strain reviews show a lot of highly satisfied customers. One of the most popular topics being our seed named Cristal Paradise®. Other well known seeds include K.C. 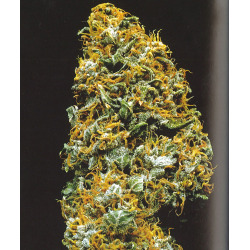 Brains Spontanica®, and Leda Uno®, the latter being the Highlife Cup Winner of 1998 among other Cannabis awards. K.C. is extremely particular about his strains and rigorously tests each strain for its germination, potency, and viability on a regular basis. Whilst K.C. Brains Seeds as a brand is not pretentious or brags, it has proven to be extremely reliable and consistent source for the Cannabis lover. All of our strains are guaranteed the same level of quality as your old coffeeshop favourites. We’re not known for messing about with random genetics and ending up with a less than satisfying end product. KC Brains Es gibt 44 Artikel.